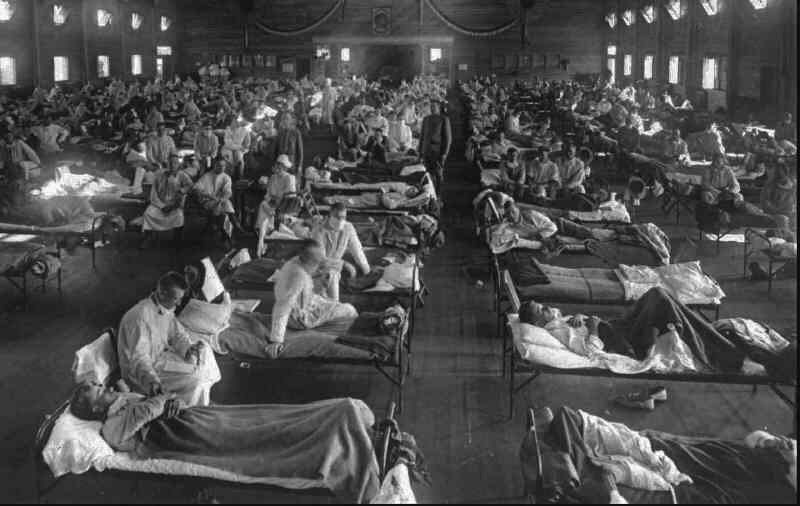 The upcoming months will mark the 100th anniversary of two of the most devastating events in World History – the “End of World War I” and the “Influenza Epidemic of 1918”. Combined, these two events caused an estimated 80 million deaths worldwide including 700,000 deaths in the U.S.. In this article we take a look at what the town of Raritan was like and what it experienced during these challenging times. One hundred years ago the local newspapers often referred to Raritan as “The Busy Manufacturing Town”. For it contained several factories of various sizes. 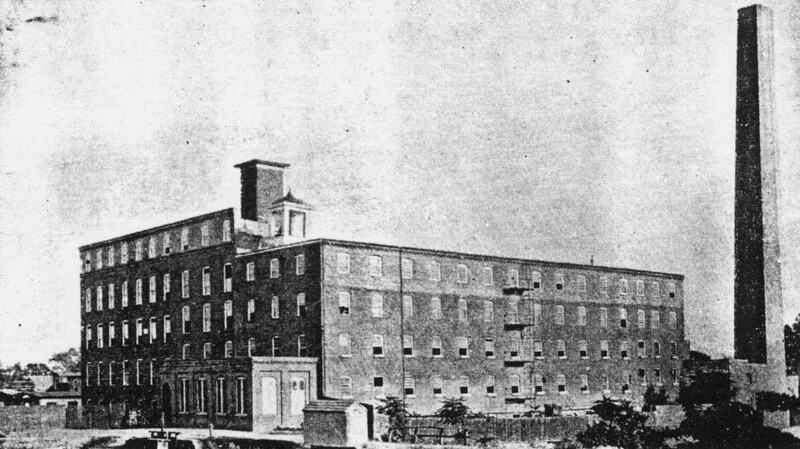 The biggest was the Raritan Woolen Mills which had several buildings. Kenyon Machinery had a complex of buildings along the river. On First Avenue was the Raritan Iron Foundry and a macaroni factory. Finally, the Raritan Creamery was along the river. 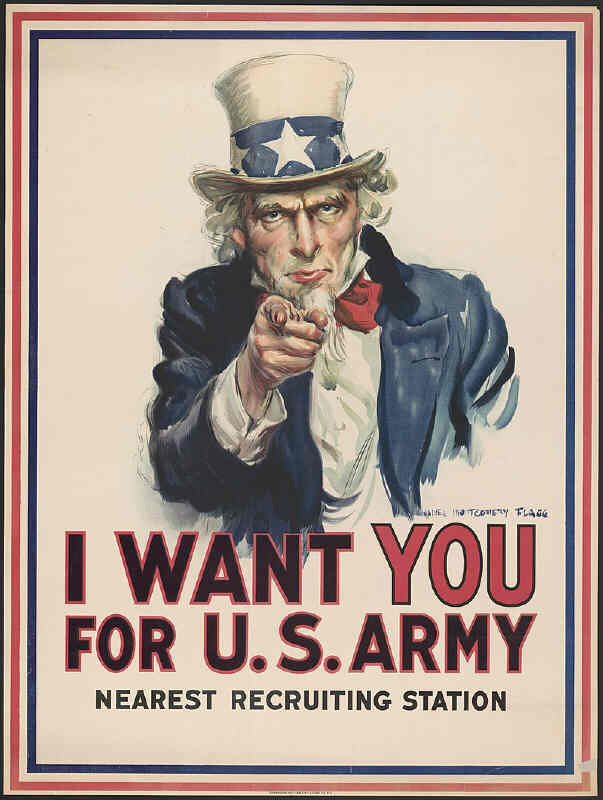 “World War I” would break out in Europe in 1914, but it was not until April of 1917 that the U.S. would join the fight. Once the U.S. entered the war the mobilization and shipping out of our boys happened quickly. The local men who joined the military would first report to the newly opened Fort Dix. 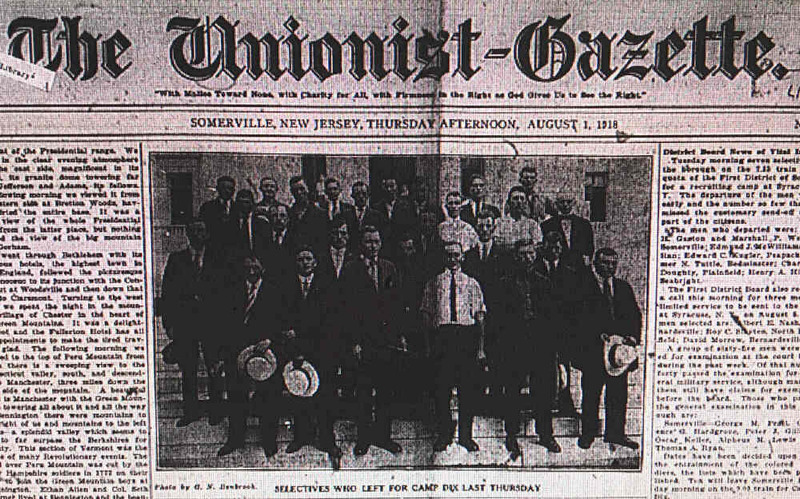 The front page of the local weekly newspaper “The Unionist Gazette” would list the local men who were going into the military. Often a group photo would accompany it. To aid in the war effort Raritan formed its own local chapter of the Red Cross. Its office was in the new school building which is now “First Growth Plaza”. The Red Cross had several tasks. They would knit many much-needed sweaters for the troops. Work rooms to do the knitting were available if one did not have the needles and thread at home. They also cut and assembled cloth that would be used as surgical dressings. Supplies were collected for the war-ravaged civilians in several European countries. 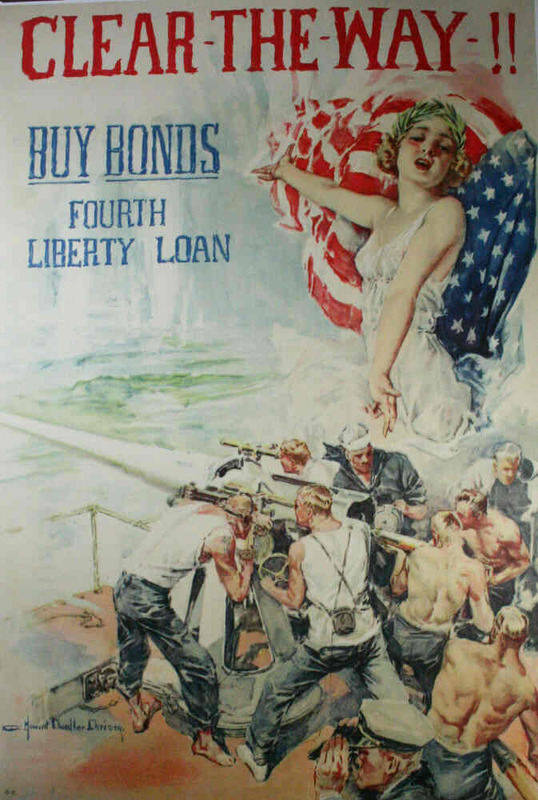 To help fund the war “Liberty Bonds” were highly promoted and sold. There would be four separate bond drives during the war. 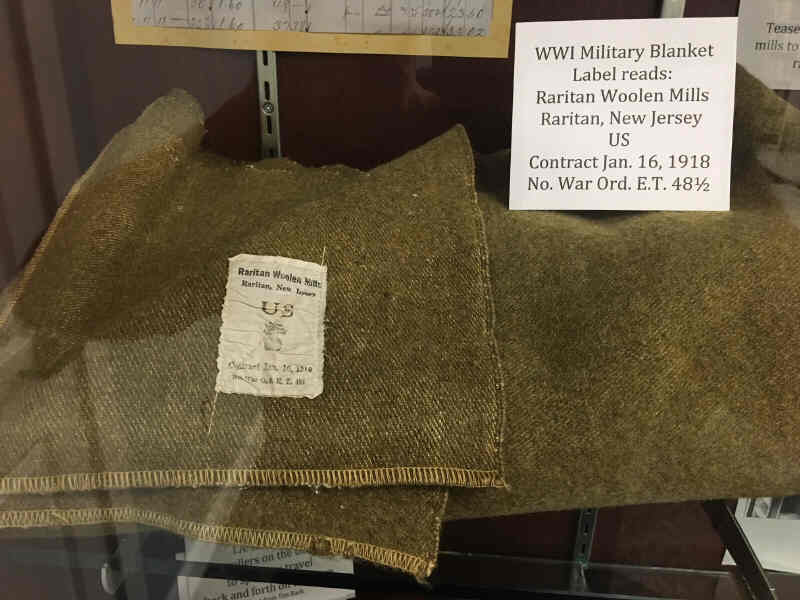 At the Raritan Woolen Mills they would manufacture woolen blankets for the troops overseas. Joseph Frelinghuysen - the U.S. Senator from Raritan - was in office during this time. 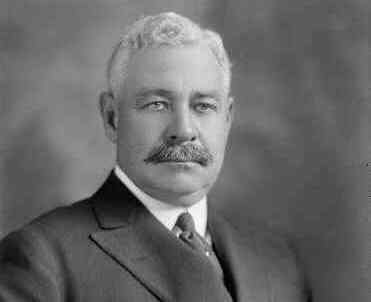 After the U.S. entered the war he publically voiced some criticism about the efficiency of the war department. The local newspaper in an editorial called him a grouch and went on to say that he was only concerned with his own future. 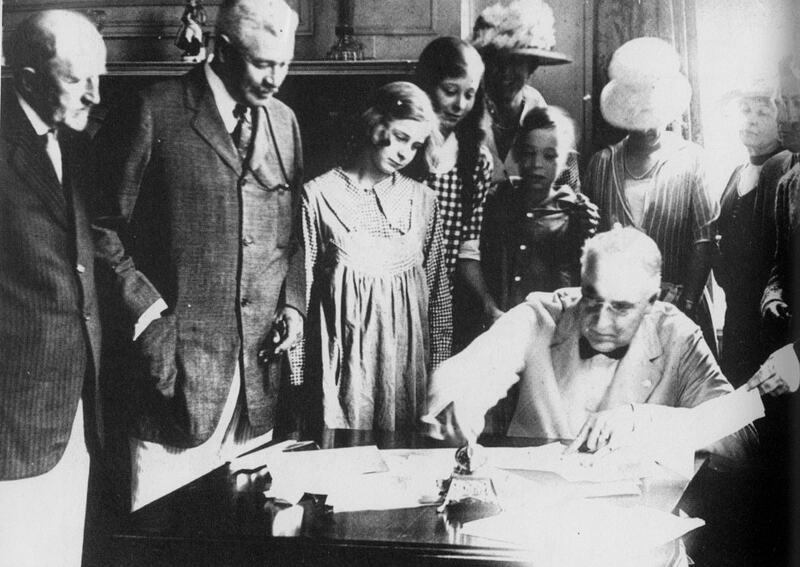 He would quickly respond with a letter to the newspaper saying, “Inefficiency will never win this war against the military machine which the German Kaiser commands. My sense of duty will not allow me to remain silent. To sit idly by and do nothing when things are not right is damnable and fatal”. 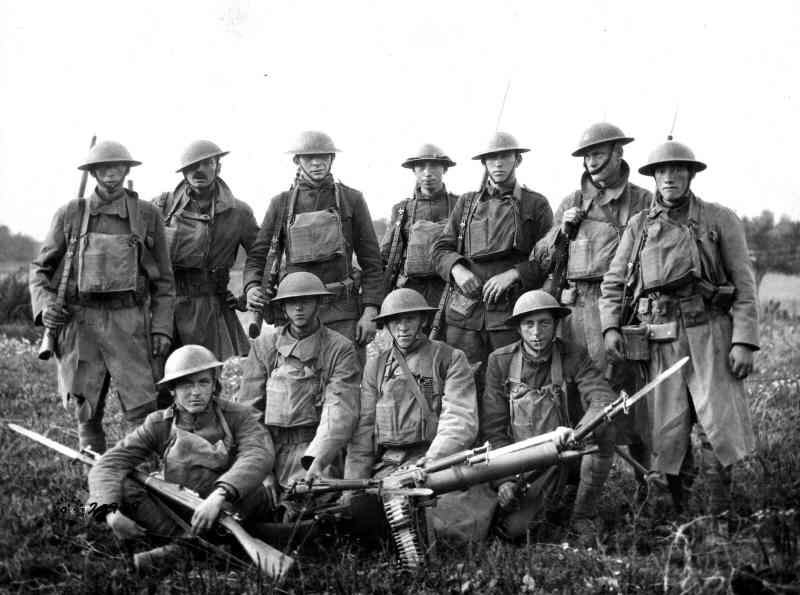 Beginning in 1918 the fresh influx of U. S. troops arriving on the battlefront tipped the scales of the battle. Newspaper headlines through the summer and fall reported how the U.S. and its Allied partners progressed in taking territory and defeating the enemy. Then, starting in September, the newspapers started reporting about an outbreak of the flu that was spreading throughout the world. At first this did not cause much worry as there had been mild outbreaks before. But as September and October came the flu reached epidemic proportions hitting most towns in the U.S. including Raritan. This crisis would come to be referred to as the “Influenza Epidemic” . Historical accounts say that nationally around 25% of the population would get the flu and around 3% who got it would die from it. Locally our percentages were less, but the population was still hit hard by this deadly flu. Somerset Hospital, then in its original location, was way over capacity. For a while a secondary hospital was setup in an abandoned school building in Somerville. The flu was transmitted by an infected person coughing or sneezing. To combat the raging epidemic, in October, all public gatherings were prohibited. 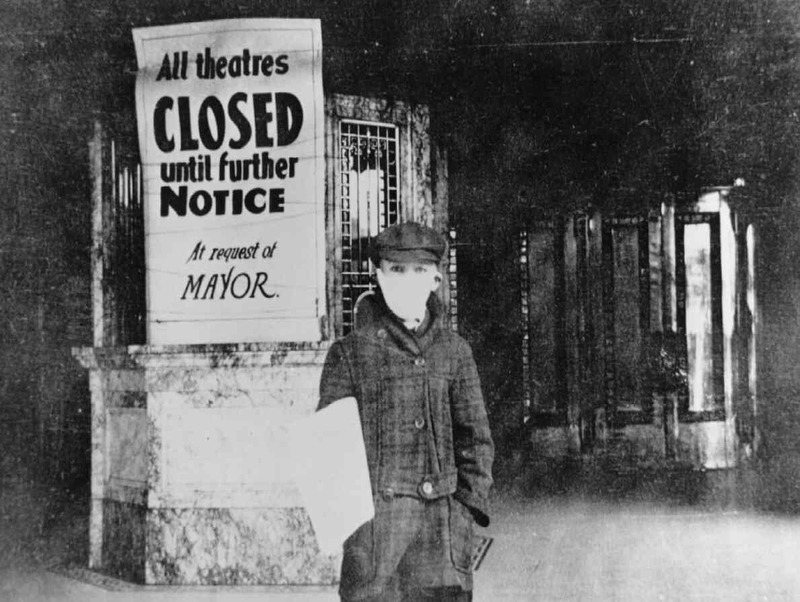 All Raritan schools, churches, taverns and the theatre were closed. The worst of this horrible plague came in October. It was hitting so quickly and so vastly that worry was that it could wipe out most of the world’s population. Amazingly there was no mass panic. Mercifully just after the epidemic peaked in mid-October it rapidly declined with few new cases in November. But the national toll was still staggering as over 600,000 people in the U.S. would die from it. 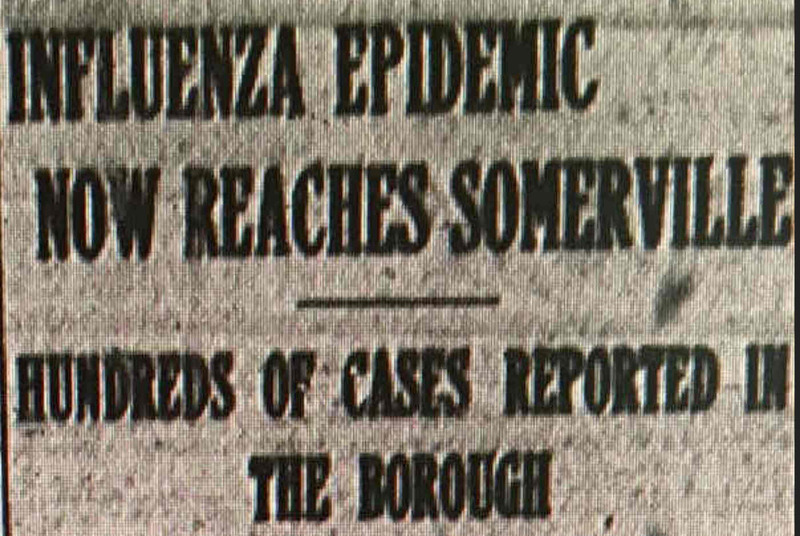 While the local newspapers never reported final death tolls by town, dozens of people in Raritan, Somerville, and Bridgewater died from the influenza..
With the epidemic subsiding, on November 11th 1918, it was announced that Germany had surrendered and the war was over. In Raritan a parade was quickly organized and they marched through the streets to celebrate. Everyone was thankful that the horrible war was over and that the epidemic was coming to an end. At the moment the death toll of the local boys who went overseas seemed very light. But information traveled slowly in 1918. The fighting overseas had been intense - especially at the end - and the soldiers had recently been hit hard by the influenza epidemic. So when the end of the war was announced most of the deaths had not yet been reported to the home front. In the days ahead many families would be notified that their son or husband had died overseas. Raritan would have eight of their own killed in the war. 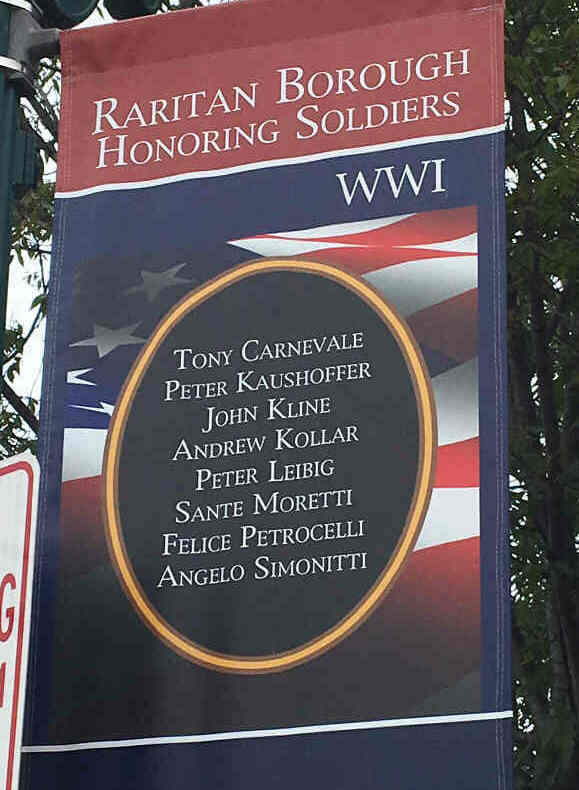 They were Tony Carnevale, Peter Kaushoffer, John Kline, Andrew Kollar, Peter Leibig, Sante Moretti, Felice Petrocelli, and Angelo Simonitti. 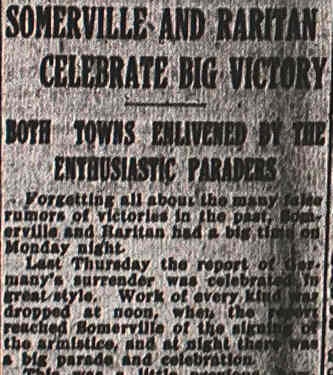 On July 4th 1919 the town of Raritan had a “Welcome Home” celebration for the boys who had arrived home safe from the war. Raritan had sent around 200 men overseas during this war. Today the names of the Raritan men who gave their life for our country in “World War I” can be found on a “Wall of Heroes” on the second floor of the Municipal Building. And twice a year for a month a banner is hung on a light post in the downtown with their names. Unfortunately, no photos of those that we lost in the First World War are known to exist. If anyone has one please contact this author at brucedoorly@gmail.com. 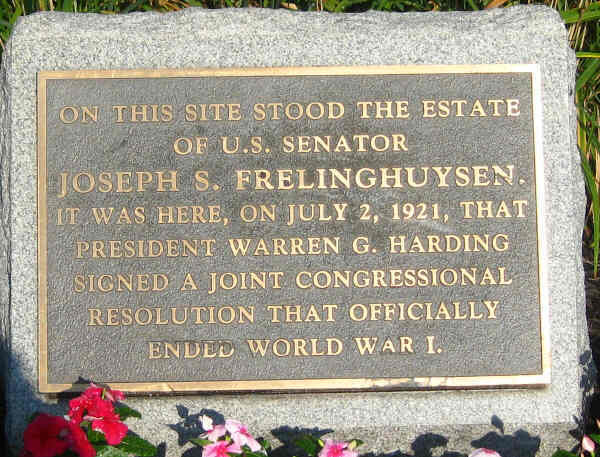 As is well known, the treaty to formally end “World War I” was signed by President Harding in 1921 at Senator Joseph Frelinghuysen’s home. That was nearly three years after the war’s end as the final paperwork had been delayed. Today a plaque commemorating the signing can be found at the entrance where the house once stood. This property is now occupied by the Burger King and PC Richard.